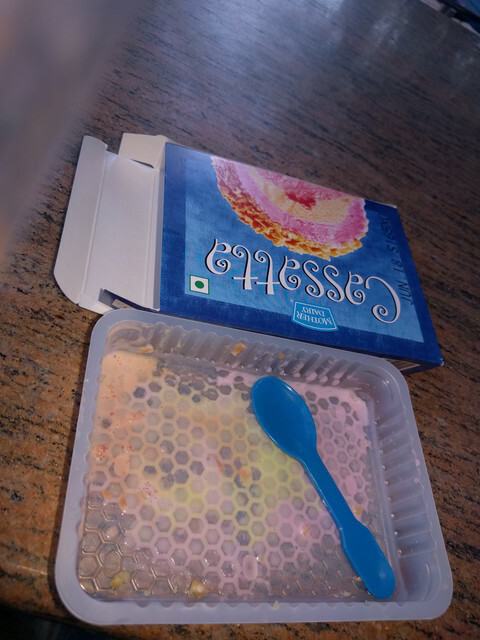 In India, we got Cassata from Amul or nestle. It used to be my favorite. I've been looking for it all over the us but never found it. Anyone have any suggestions? What the hell is cassatta? Have no frikkin idea..
A very famous flavor of icecream that is actually like a 3-in-1 types with 3 flavors and kishmish, dry fruits etc..Very much loved. Not only cassata, you don't get butterscotch icecream either.. it's my favorite. The butterscotch flavor they sell here is BS, doesn't even come close to our desi version. Very long ago, about 30 yrs ago, this ice-cream was very famous and was taking the takkar with Vadilal ice-cream and many Havmor ice-cream,..
at that time,.. it was served just like this in a plate , a slice of such three colors, ( 3 in 1 - Barfi type ) …at few famous Ahmedabad restaurants,..
Later, due to the advancement of cake ice-cream, Pie ice cream, Cake shape, in-box, candy-bar, cup-cone and many other flavor and additives like pistachio, cashew, walnut,.. etc. it must have today 10s of diff. variety, size, look, kind, shape and what not,… ! I had allergy of sweets and no liking for sweet-tooth,…… my bros were eating this, while I was still busy sipping Sambhar of my delicious stuffed Dosa,..
arreee ye pspo nai janta! 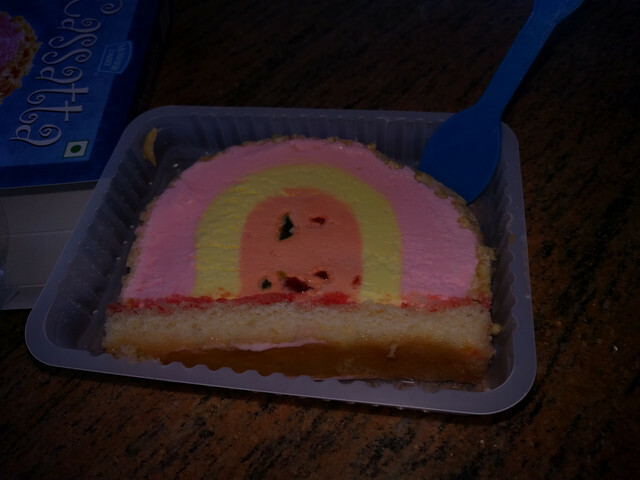 The picture above posted by log1 is not a cassata. 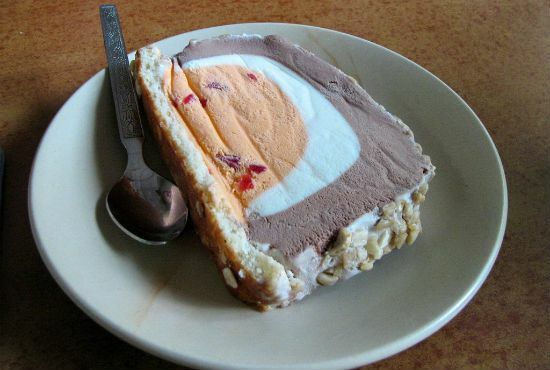 It is a 3in1 ice cream. Chocolate flavour is a must in Cassata. Last edited by Bhidubhai; August 11th, 2017 at 07:53 AM. In Ahmedabad, on Relief road at Kishore Hotel ( Kalidas must be knowing ) that I remember,...we were eating this,.... and due to its "hard frozen" it was coming like a stone....... and, we had to wait 0.5 hrs in a/c.... just, so that it melts little and eatable,.. Teeth were so sensible to eat any cold objects at that time,.. and guy like me was, to wait till,.. totally melting of it and then an endeavor of touching, only,... !!! Last edited by log1iszero; August 11th, 2017 at 09:10 AM.